We're training experts who provide advice, consultancy and solutions to organisations across a wide range of industries with many different training requirements. We understand that the right training programme can transform an organisation, whatever its individual learning and development needs. We’ve been a safeguarding training provider for over 10 years, delivering safeguarding and child protection training to more than one million people. We’ve delivered food hygiene courses to over 750,000 individuals, helping organisations across the country to give their food-handling staff effective training. In response to our project with Mind and Heads Together we have developed a suite of e-Learning courses designed to help organisations develop a positive mental health and wellbeing strategy. 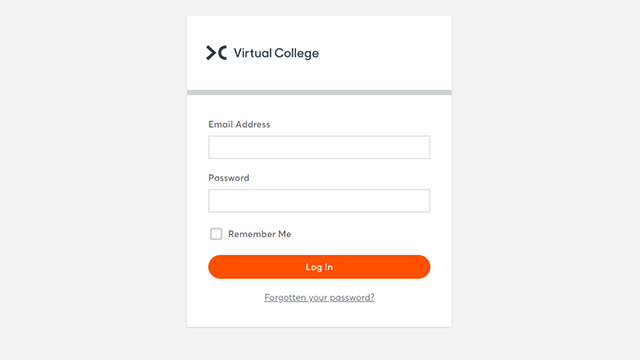 At Virtual College we understand how technology can be used to make a real positive impact on society and we have already taken steps to make a real difference not only in the UK but across the globe. Leadership doesn’t have to be confined to the most important people within a business. We are experts at delivering large-scale programmes to develop effective leaders and managers. 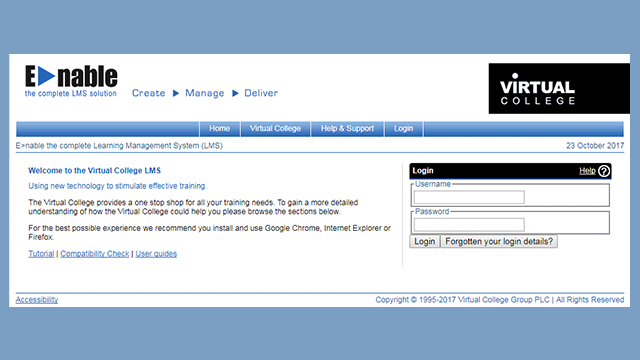 Our e-learning solutions are used extensively by the education sector, from supporting apprenticeship delivery to training staff in child protection and safeguarding. We’ve worked with numerous health and social care organisations, developing training which has gone on to save lives and improve the patient experience throughout the UK. As the UK’s largest provider of food hygiene certificates, we have a strong presence in the food and drink sector, bringing training to organisations large and small. Our online training is used by housing associations across the country to help staff meet compliance and get up to speed with legal and regulatory requirements. We provide a wide-range of high quality e-learning services to the professional services sector, including management training to develop the next generation of leaders. We work with construction industry experts, including the NICEIC, to offer everything from bite-size training courses, to full qualifications, such as 17th Edition.